The Finger Lakes is best known for growing grapes and apples. 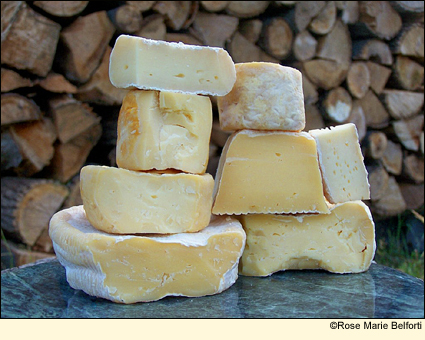 But it does produce many other agricultural products, including cheese. All of the cheesemakers listed below make cheese by hand. Many run small farms that are open to the public by appointment. Feel free to contact them. There's nothing like buying your food directly from the farmer. Some of the dairies listed below are members of the Finger Lakes Cheese Trail and have open-farm events throughout the year. This allows you to visit the farm, see the animals, taste the cheese on site, before you buy.